Every person has different nutritional requirements. What your body needs for optimal health depends on your age, gender, diet, and any health conditions you may have. As a result, a general multivitamin is not always the best option. Instead, you should consider meeting your body’s specific nutritional needs with customized vitamin supplements. What are Customized Vitamin Supplements? As the name suggests, customized vitamin supplements are tailored to meet specific nutritional needs. They differ from multivitamins in that they are not intended to contain more than a few selective vitamins and minerals whereas multivitamins contain a broad range of nutrients. While multivitamins are great for filling numerous gaps created by extremely restricted weight loss plans or less-than-healthy dietary choices, customized vitamin supplements are intended to give your body a boost just where you need it. Research has yet to be done regarding the efficacy of multivitamins in preventing chronic disease, although numerous studies have been conducted on the effectiveness of specific vitamins in preventing or lessening the effect of certain ailments. For example, the benefits of calcium in slowing the onset of osteoporosis are well known. This is why many women and some men choose customized vitamin supplements that contain calcium and a few other key nutrients. So, instead of taking every nutrient under the sun in a multivitamin, you may want to consider your own body’s specific needs when choosing your vitamin supplements. When designing your customized vitamin supplement plan, you should take into account your biological and lifestyle factors. The sample plans below may not be perfectly suited to your lifestyle, though they do provide a general overview of the kinds of vitamins that people in different categories may need. Most American adults are deficient in vitamin D and calcium, so supplementing your diet with these vitamins as well as omega-3 fatty acids is recommended for certain individuals. • Vitamin D: Vitamin D can be absorbed through the skin from sunshine. Unless you live in a warm climate and get 15 minutes of unblocked sun on your face and arms daily, you may need a supplement. • Calcium: Calcium supplements typically also contain vitamin D because vitamin D is necessary for the absorption of calcium. You should get up to 1000 milligrams of calcium daily. Three servings of milk or dairy satisfies this requirement. If you don’t eat this much dairy on a daily basis, then you may need a supplement. • Omega-3 fatty acid: Omega-3s are found in fish and walnuts and are needed for brain function. Unless you eat fish two or three times weekly, you may need a supplement. As your body ages, you become less effective at absorbing nutrients through food alone. Vitamin B12 and the elderly is a special concern, particularly if your diet does not include many animal products. People who are deficient in vitamin B12 throughout life are more likely to develop cognitive disorders, such as dementia and Alzheimer’s as they age. For this reason, if you are over 50 you should consider taking a B12 supplement of 25 to 50 micrograms in addition to the vitamins recommended for adults under 50. Pregnancy puts an additional strain on your body, which is why it is necessary to take vitamin supplements. Deficiencies of certain vitamins are proven to increase risk for birth defects, so increasing your intake of the following vitamins prior to and during pregnancy is highly recommended. • Folic acid: Also known as vitamin B9, folic acid is well-known for its role in preventing birth defects. Pregnant women should take a supplement that contains at least 600 micrograms. • Iron: Consult your doctor prior to taking iron while pregnant as too much iron in your system can be harmful. However, most women take a supplement with no more than 30 milligrams of iron during pregnancy. • Vitamin C: Although vitamin C is typically associated with the immune system, it also plays a key role during pregnancy. Vitamin C is relatively easy to come by through diet alone. However, if you suffer from morning sickness, you may want to consider adding a supplement. People on a diet who eat 1200 calories per day or less typically do not consume adequate amounts of food to reach the daily recommended value for most nutrients. If you are on a diet, consider what nutrients you may now be lacking due to restricted food intake and take customized vitamin supplements to address those needs. Certain nutrients can also help you reach your weight loss goals. For example, some people buy lipotropic injections to add to their diet regimen. Lipotropic injections contain vitamin B12 and specific amino acids that are designed to stimulate the metabolism, which helps you lose weight more quickly. Vegetarians who eat dairy and eggs typically do quite well getting adequate nutrition. Although vegans who abstain from all animal products are more likely to suffer from the following deficiencies. • Iron: Although trace amounts of iron can be found in plant-based foods like spinach and beans, the best source of iron is meat. For this reason, vegans and vegetarians should consider taking an iron supplement to prevent anemia and other conditions. • Vitamin B12: Unlike iron, vitamin B12 is derived strictly from animal products. Vitamin B12 plays important roles in the nervous and circulatory system, so even a slight deficiency can cause health complications. Testing vitamin B12 levels is done through a simple blood test and adding B12 to your diet via a supplement is an easy way to prevent a harmful deficiency. Every body is different, so it is not always helpful to rely on a one-for-all multivitamin. Instead, consider the benefits of meeting your body’s specific needs with customized vitamin supplements. 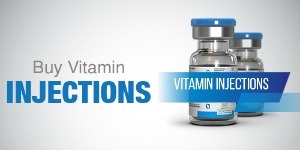 In addition to vitamin B12 injections, we also have various vitamin combinations that can help address issues like stress, poor immunity, and more. These customized vitamin supplements will ensure you get exactly what you need—and nothing you don’t need.